Herd Immunity « Nothing in Biology Makes Sense! Over the past several years there has been a growing trend of parents that are terrified of vaccinating their kids citing reasons such as the debunked link to autism or that it just isn’t “natural.” A healthcare blog run by several infectious disease doctors called Controversies in Hospital Infection Prevention has run frequent stories reporting on the declining vaccination rates as well as problems that ensue because of that, most recently about the whooping cough epidemic in Washington and wondering why Jenny McCarthy has so much influence on national views on vaccinations. 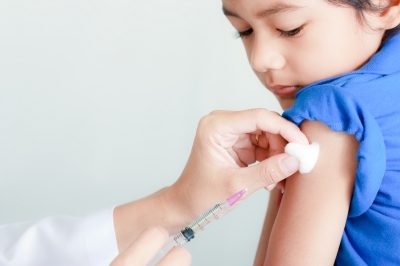 In an attempt to bring some light into the benefits of herd immunity I found a recent article that takes a look at the Seven-Valent Pneumococcal vaccine and its effects on co-colonization of other strains of Pneumococcus in children. This study took a look the rate of co-colonization of children up to 6 years old from Portugal in groups of pre-vaccine era, vaccinated children, and unvaccinated children in vaccine era. Despite the fact that there are well more than 7 variants of pneumococcus (as is evident by the fact that the standard pneumococcal vaccine is now 13-valent and high risk individuals are recommended to receive the 23-valent version), this study found that children vaccinated with just the 7-valent vaccine had significantly less co-colonization with other variants of the pneumococcal bacteria in nasal samples. The biggest problem initially is in detection of so many various variants. Using a combination of the plyNCR-RFLP and molecular serotyping microarray methods based on restriction pattern that is highly conserved among pneumococcal species, this study was able to detect co-colonization in 20% of their samples, while not great significantly higher than previous studies. They then compared the rate of co-colonization between the three groups of children and found that co-colonization rates of non-vaccine type pneumococcal bacteria were significantly lower, only 8% in fully vaccinated children compared to 18% in the other two groups. However, the unvaccinated vaccine era children, while displaying higher co-colonization rates, showed colonization similar to their vaccinated counterparts by displaying a decrease in colonization by the vaccine type variants. The paper goes on to claim that the decrease in non-vaccine type pneumococcal co-colonization in the vaccinated group reflects a possible understanding of pneumococcal evolution. It could be that decrease in some variants leads to decrease in others by preventing horizontal transmission of genes, including resistance genes. This entry was posted in coevolution, genetics, medicine, vaccinations and tagged adaptation, evolution, infection, open access, science. ← Carnival of Evolution: We’re hosting! I think it’s silly that parents are not wanting to vaccinate their kids. If they have pets do they not get their pets vaccinated either? I know with my dogs when the vet calls and says my dogs are needing their vaccinations I make an appointment for as soon as possible. Vaccinations are meant to help, and frankly if my child’s pediatrician is telling me that a certain vaccination could my child prevent something that shouldn’t happen in their body, then that’s all the info. I need.